Michael Dameski on World of Dance. Photo by Justin Lubin/NBC. 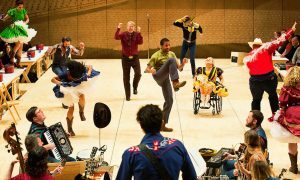 No matter the age you begin to dance, there is no way of knowing just how much of an impact it will have on your life or career. It is a stair-stepping process of sorts when it comes to diving into the arts where you must pace yourself while knowing that with each step you are getting closer to your goal as well as constantly growing. 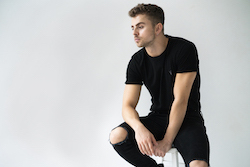 Michael Dameski is no stranger to the journey of growth in his dance career and has been a prime example of what happens when you invest in your craft. Like many other male dancers, Dameski didn’t initially start out dancing but was instead heavily involved in sports. Michael Dameski. Photo courtesy of Dameski. Although dance was merely for fun in the beginning, Dameski was on the stage from a young age. His father would organize community events where the kids were the entertainment, which meant that Dameski would be performing as well. While it was only right that he performed in the community events that his father organized, dance was never forced but actually came more naturally to Dameski. He didn’t waste any time getting into class and at age 10, hip hop and jazz were the two genres that grasped Dameski’s attention first. 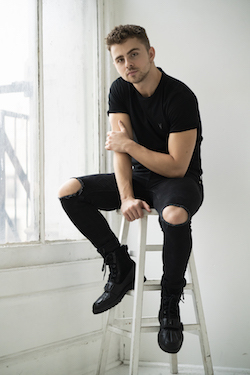 Michael Dameski. Photo by Rebecca Lampiasi. Billy Elliot the Musical on Broadway was the first breakthrough of many for Dameski professionally. This was a highlighted moment for Dameski because he had the chance to be thrusted into the limelight at a young age but even more exciting because he played Billy Elliot. The opportunities kept coming for Dameski from then on. Of the many opportunities that most only dream about, Dameski had his sights set on performing on the So You Think You Can Dance (SYTYCD) stage. As the youngest competitor in the competition, Dameski entered the competition with no expectations going in. As someone who entered the competition for the ride and exposure, Dameski had no clue how much he would progress from one performance to the next. Each week proved to be better than the last as Dameski continued to step up and pull through, and eventually he crossed the finish line as a winner. Although there was a lot of pressure for Dameski as the youngest competitor on the show, having older contestants to look up to made for an amazing experience and yet another professional triumph for Dameski. In the spirit of taking chances and challenging himself professionally, World of Dance seemed like the next plausible step for Dameski, but it was met with some reservation at first. Dameski knew that he would be up against some really competitive dancers and was sought after by a produce to audition for season two after they had seen Dameski’s incomplete form from the first season of World of Dance. With the mindset of further fulfilling his dreams and find his purpose to be in the U.S., Dameski decided to go for it. With a great start to the second season, along with show-stopping performances throughout the duration of the competition, Dameski constantly topped himself with each performance that he delivered. As the runner-up for World of Dance‘s second season, Dameski’s journey of growth in dance and the arts in general is just beginning. Even though he was already in the limelight at a young age playing Billy Elliot on Broadway, Dameski has his sights set on continuing to build his career. Dameski has already proven to be a triple threat, and clearly a strong dancer, but he has his heart set on venturing into other spectrums of the arts in adulthood, as well as enjoying the limelight as an adult. Since World of Dance, Dameski has been asked by a couple of conventions to teach and has also been approached by producers about developing shows. Although he has no set plan in place or steps he wants to take next, Dameski’s main focus is soaking in everything that has happened to him so far. Of the many accomplishments he has under his belt professionally, the possibilities for growth and exposure have just begun for Dameski. One thing he continues to do is stay a student and continue to take classes. In the situations of pressure that he had been faced with, growth has always followed. Dameski offers some words of advice for those dancers who may be hesitant to take that leap of faith.